I suppose there are two ways of learning something new – one way is covering a linear set of topics regardless of your personal interest or inclination just to cover the subject completely to achieve an end result. The other way is trying, experimenting, and in the process gaining insight into the subject matter. 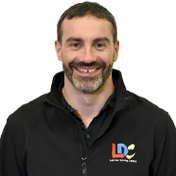 The LD System, together with Will as an instructor, allows you to learn the latter way. Every lesson was tailored to my specific needs. I found that Will is not teaching you just to pass a 40 minute test, and although he does that very well (I passed first time), he is, in fact, teaching you to drive on your own, with paramount regard for your own safety and the safety of others under circumstances you would face daily as a driver. We did night-time driving, driving on hills, driving on narrow country roads, dual carriageways, town centre driving, different roundabouts and much more, and all this time Will emphasised independent thinking and decision-making while always keeping you safe on the road. We would often have long discussions on various types of roundabouts, how to deal with oncoming traffic on narrow roads, how a clutch works to facilitate gear shifts and how not to inconvenience your fellow drivers, amongst various other topics. One piece of advice to anyone learning to drive – do not worry too much about the number of hours, lessons or start comparing to others. Driving is a skill that can take some time to master. I'd say enjoy the learning process, enjoy driving and it's intricacies. That would be a much more fulfilling experience. 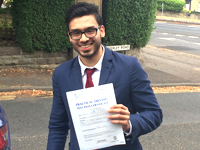 I'm a driving instructor in Huddersfield, Batley, Birkby, Fartown, Dalton, Halifax, Elland, Lindley, Almondbury, Brighouse, Kirkheaton, Golcar, Milnsbridge, Stainland, Edgerton, Deighton, Mirfield, Newsome, Lockwood, Beaumont Park, Crosland Moor, Lepton, Dewsbury and surrounding areas.